A Euro-style eatery you might have expected in Milan or Prague in the heart of Cape Town. An ethos of delicious food, simplicity and sophistication that’s lasted for 10 years now. Serving up a range of grain-fed steaks with Café de Paris butter sauce and trademark crunchy salad and skinny fries. And there’s always something special happening: From specials on steak at #2FOR1Mondays to service in perfect pairs on #HQDateNight on Tuesdays and dinner and dancing at Friday Feels. 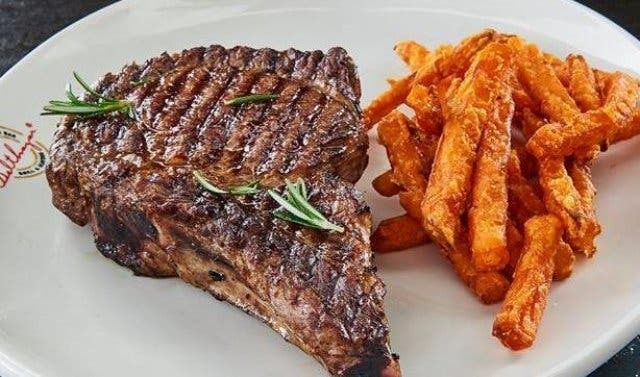 You haven’t had steak in Cape Town until you’ve had them at HQ restaurant on Heritage Square. 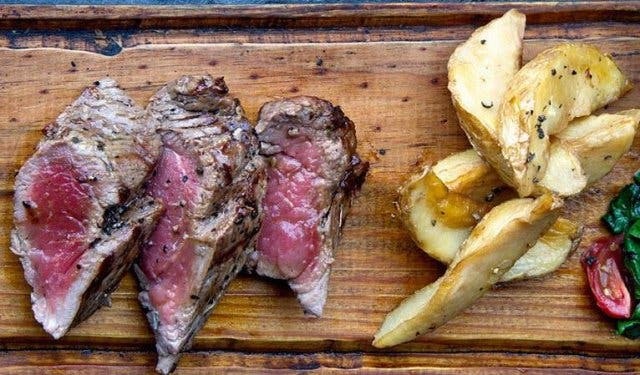 A haven for meat-lovers, award-winning restaurant Primal Eatery is South African braai culture merged with Greek traditions that create a fun dining experience, where patrons tend to linger longer. 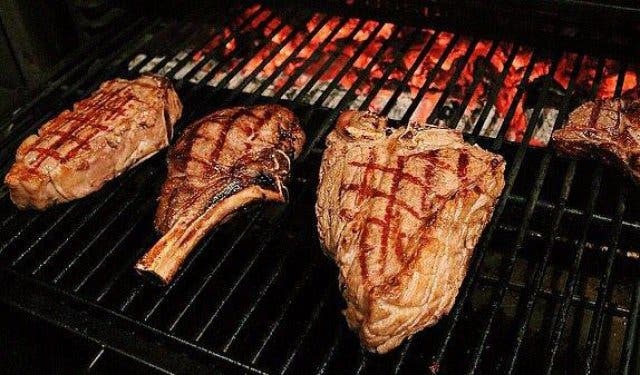 The meat, ethically-sourced in origin and cooked over a wood-fire grill, is a "live fire meat experience". Take your pick from a meat selection that changes daily, presenting a variety of interesting cuts. Opening hours: Primal Eatery is open every Tuesday to Saturday from 6pm to 12am, and closed every Sunday and Monday. 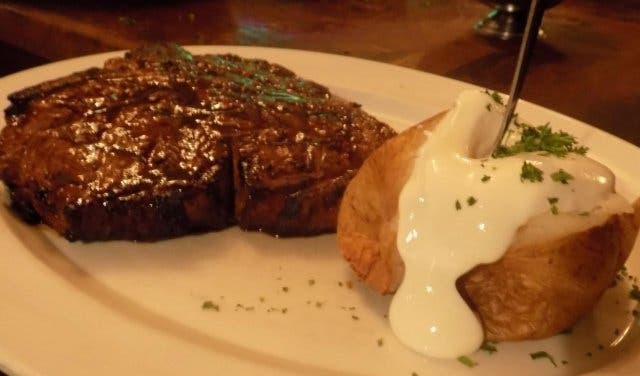 There’s a reason this popular steakhouse has been around since the 60s: the old-school joint serves up top-quality, succulent steaks that are wet aged for up to 21 days, and you can even choose your own cut at the grill. 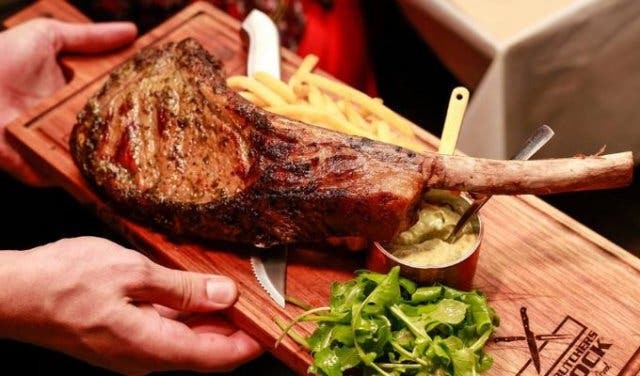 Not to mention, carnivores who scoff at anything smaller than a 500-g portion can tuck into 600-g sirloin, rump or T-bone and 800- or 900-g racks of tasty ribs. Expensive? Maybe a little, but this is super-grade, grain-fed beef we’re talking about. Add to that the typical buzzing steakhouse atmosphere and you have a Capetonian favourite. Remember to keep an eye out for their winter specials menu, which features some of Nelson’s Eye’s signature items at discounted prices. Opening Hours: The restaurant is open for lunch from Wednesday to Friday between 12:30pm and 3pm and for dinner all week round from 6:30pm until late. Do note, it is closed for lunch on weekends, public holidays, Mondays and Tuesdays. 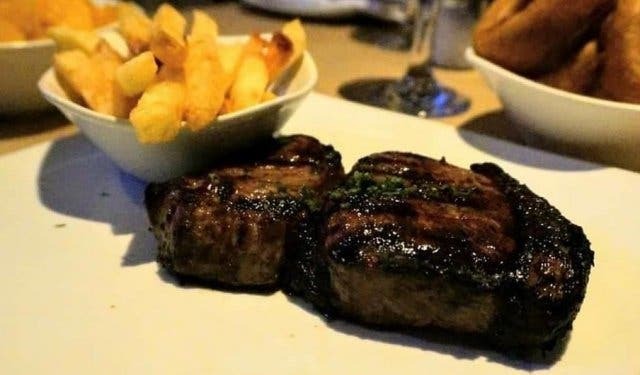 Situated on 2nd Avenue in Claremont, Brad’s Grill, which was named as one of South Africa’s top steakhouses, undoubtedly serves up one of the best steaks in the Mother City. Its star attraction is a succulent and grilled-to-perfection pepper steak offering, which is served with generous portions of sides, such as pumpkin, fries, large onion rings and delicious Swiss chard. 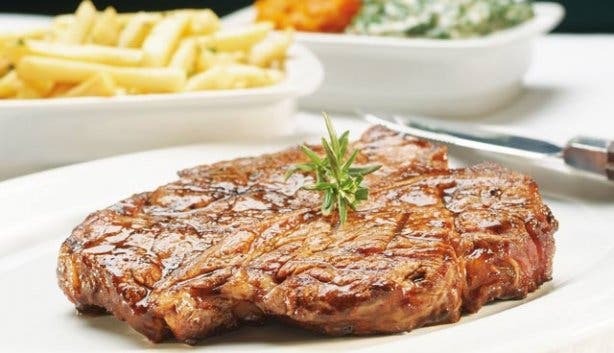 It’s also been named as the Best Pepper Steak in the country for two consecutive years, so diners can look forward to indulging in the best of the best at this Southern Suburbs restaurant that boasts a cosy and welcoming atmosphere. 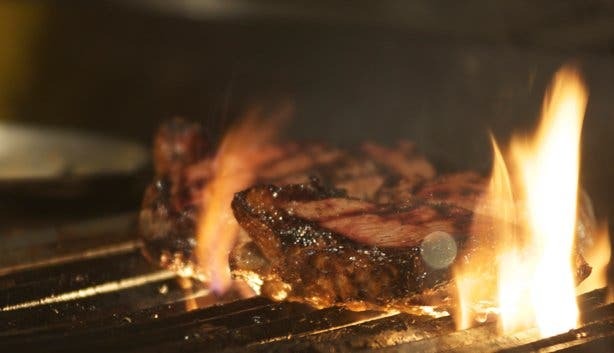 Not to mention, Brad Grill’s has been around for almost four decades, which, aside from the top-class beef offering, probably has something to do with the impeccable service, a rarity in Cape Town! Opening Hours: The restaurant is open from Monday to Sunday from 6pm until 11pm. “The finest cut meat grilled to perfection” may be a self-described accolade, but it’s too apt to be argued with. Deservedly famous in Cape Town, the Cattle Baron Group has received a number of prestigious awards for both its steaks and wine selection, but if you only get one chance to dine at one of its restaurants, we recommend the Chateaubriand – a 200- or 300-g fillet flambéed with brandy and served with mushroom sauce and a special Cattle Baron béarnaise. 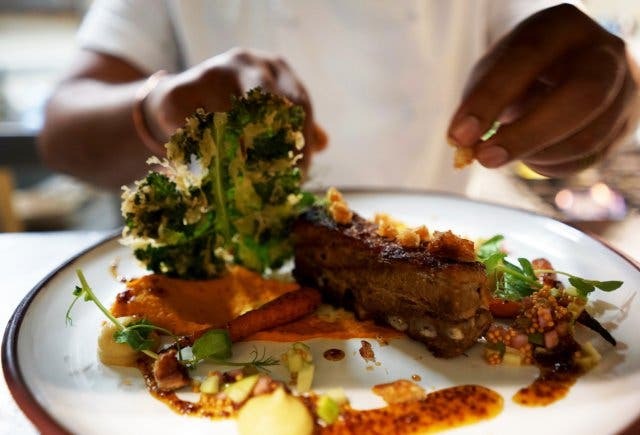 There are several branches scattered throughout the Western Cape, so everyone from Hermanus to Paarl to Constantia can get their teeth into the much-loved meats. 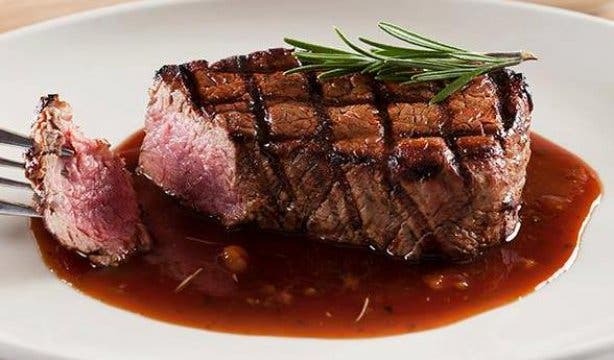 Plus, patrons also have a choice of three different types of dining experiences: there are the Cattle Baron steak ranches, which are cosy and family oriented; the grill houses, which are just one step up from the ranches with a more sophisticated ambiance and elegant table settings; and the grill and bistro, which offers a stylish yet relaxed and personal eating out experience. Visit the restaurant group’s website to find a branch near you. 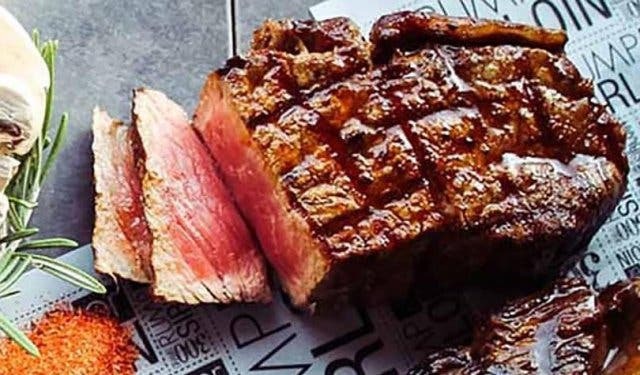 This award-winning restaurant group has over 45 years of experience preparing high-grade beef and game under its belt, and this certainly comes through in each meal. 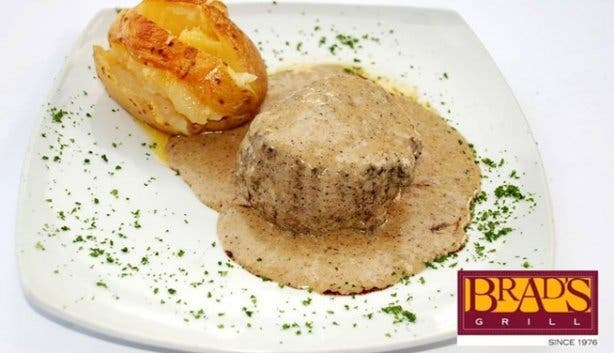 Highlights on the menu include the deliciously indulgent Hussar Carpetbagger – fillet mignon stuffed with smoked oysters and cheddar cheese and topped off with a brandy and wholegrain mustard sauce – and the Game Steak, which changes regularly depending on what’s available. The staff, who are all trained in house, offer quick, friendly service at every one of the group’s various branches (there are six throughout the Cape), making the dining experience that much more pleasurable. But what makes this steakhouse truly exceptional? 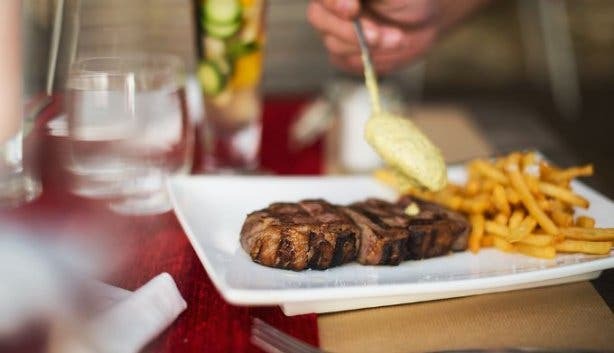 The restaurants don’t charge a corkage fee, so diners are free to bring along their own choice of wine to accompany their excellent steaks. Visit The Hussar Grill’s website to find a restaurant close to you. The folks from Cape Town’s famed Madame Zingara have pulled yet another rabbit out of their hat with this vibey, bustling bohemian eatery. 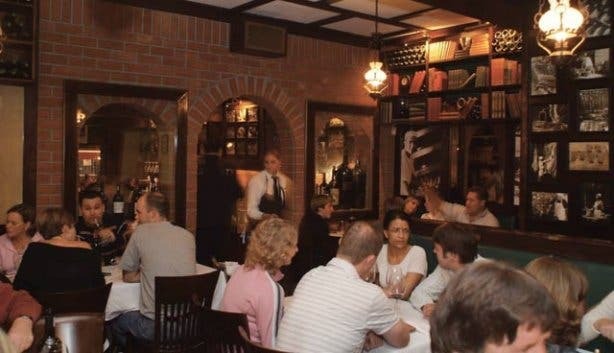 The Bombay Bicycle Club, which boasts a quirky, inviting interior, can be relied on to provide consistent excellence in the meat realm, dishing up delicious delights like the Oven Roast Beef (a juicy hunk of rib-eye topped with a cranberry, port and rosemary jus) or the Sumac-dusted Organic Sirloin . The restaurant does great non-steak dishes too, but that’s another story. Opening Hours: The Bombay Bicycle Club is open from Monday to Saturday from 4pm for drinks and from 6pm until 11pm for food (drinks are served until 12pm). 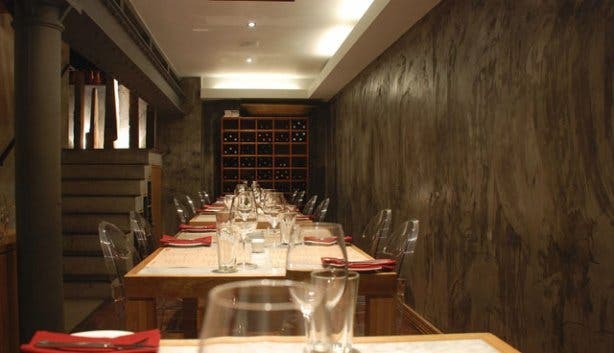 Situated in the bustling V&A Waterfront, this fashionable steakhouse and wine bar was one of the first restaurants in Cape Town to serve real rib-eye steak (their specialty is a unique rib-eye called Chicago Cut that is dry aged and cooked on the bone). 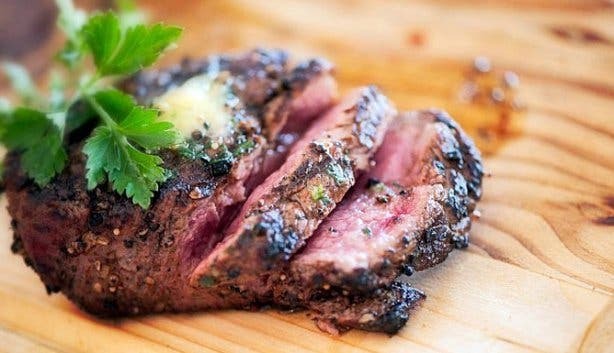 Nowadays, the eatery has risen to prominence amongst loyal Waterfront visitors with its creative cuisine, and once you’ve experienced their melt-in-the-mouth fillets, sirloins, rumps and more, you’ll understand just why the restaurant’s received a number of accolades, official or otherwise. Another good reason to dine at Belthazar is that the swanky joint offers the largest selection of wines by the glass in the whole of Cape Town and very possibly the world. Opening Hours: Belthazar is open from Monday to Sunday from noon until late. 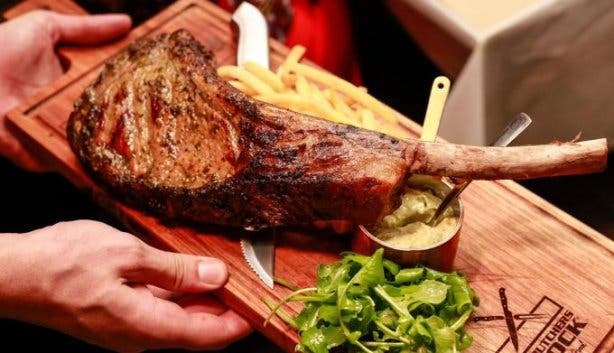 As its name suggests, this Italian carnivore’s paradise is all about the meat – T-bone, sirloin, rib-eye and rump are all cooked to perfection here. Owner Giorgio Nava is rather obsessed with detail, and most of the fine, free-range cuts of Romagnoala beef, Dorper lamb and game that the restaurant serves up come from animals that are ethically reared on his own farms in the Karoo. Carne SA is the ideal after-work meeting place and features a modish bar lounge dotted with paraphernalia reminiscent of a traditional Italian butchery, like butcher’s blocks and a retro Italian meat slicer. Opening Hours: The restaurant is open from Monday to Saturday between 6:30pm and 10:30pm. Barristers was rather accurately described by one local reviewer as a “gastronomic pub”, because, despite the rather fine décor and outstanding culinary experience, the eatery tends to channel the ambience of a vibrant pub with high spirits and good fun all round. As far as the menu goes, we highly recommend The Gavel – rump or sirloin topped with sautéed chicken livers, bacon, onion, cream and masala spice. 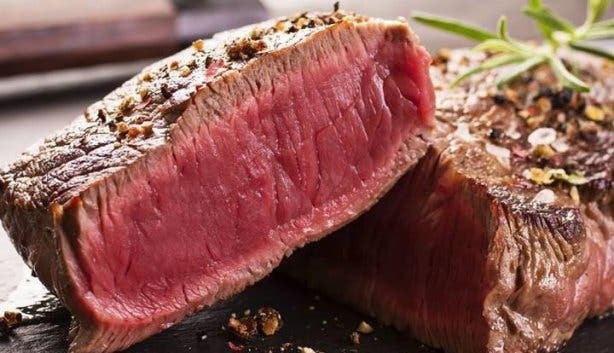 Also, go on any day of the week between 11am and 6pm for the R65 pub lunch special, which treats visitors to steak, egg and chips amongst other items, or go on a Monday and enjoy buy-one-get-one-free mains (steaks included). Opening Hours: The restaurant is open from Sunday to Thursday between 11am and 11pm and on Fridays and Saturdays between 9am and 11pm. 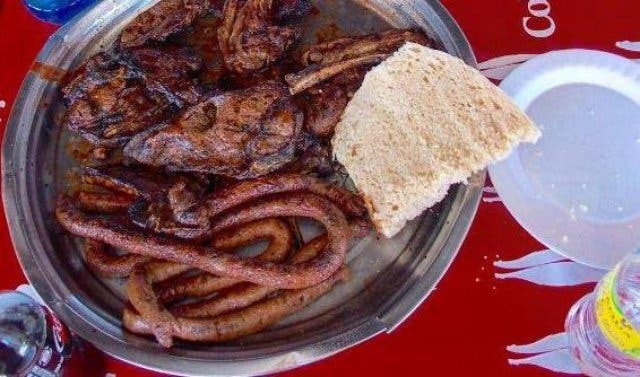 For the most South African of steak and meat experiences, Mzoli’s in Gugulethu is where it’s at. 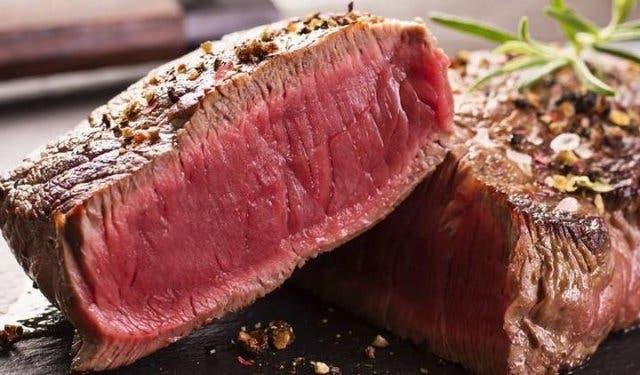 The popular township butchery serves up a jovial atmosphere and fantastically inexpensive fare – picture yourself with a massive pile of succulent meat dining alongside hundreds of fellow carnivores with mouths stained the colour of the joint’s heavenly secret marinade. 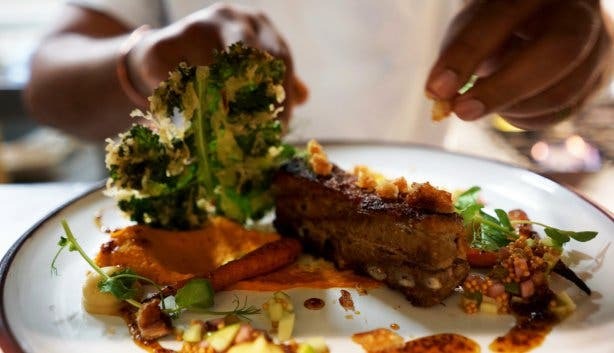 As it has endorsements from the likes of DJ Fresh and Jamie Oliver, who claimed that Mzoli’s dishes up the best meat in Cape Town, it’s a no-brainer why this eatery should be on the list. 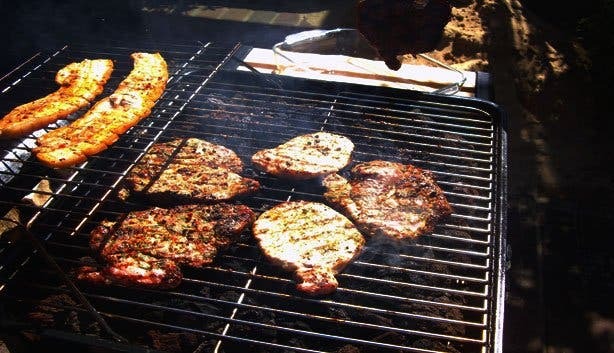 Opening Hours: Be sure to visit on Sundays from 11am onwards for the ultimate ‘shisa nyama' experience.